A2A, the company emerging from the encounter between former municipal companies from Milan (AEM and AMSA) and Brescia (ASM), formally started out on 1 January 2008. The desire to combine their strengths and energies and to create value for stakeholders was immediately mirrored in action, in the new name and in the tag-line “energy in common”, designed to evoke the idea of projection into the future and a history of unique and exemplary service. In fact, the decision taken in 1898 by the Milan Municipal Council to deal with the “electricity issue” and to begin producing the new energy in its own right following the requests, considered exaggerated at the time, from what was then known as the “Edison Committee”, laid the foundations for the birth of AEM (Azienda Elettrica Municipale di Milano - the Milan Municipal Electricity Company). 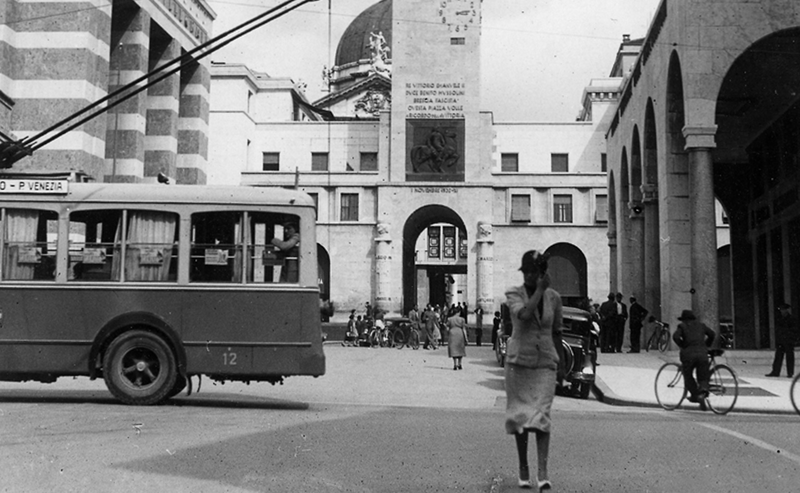 Shortly afterwards, ASM (Azienda dei Servizi Municipalizzati - the Municipal Services Company) also came into being (1908) from a resolution by the Municipality of Brescia, and was entrusted with managing the tram service and the ice factory. With the municipalisation of the Milan street cleaning service and the hiring of six hundred or so street sweepers who were then active, the same period saw the constitution of AMSA (1907), a company that over the ensuing decades absorbed SPAI (Servizi Pubblici Anomina Italia), which was established in 1929 providing the waste collection services for Milan and Duomo, specialised in sorting services. The histories of AEM, AMSA and ASM were interwoven for a century due to the fact that the communities they served either overlapped with each other or were neighbours, and it was precisely their respective skills that enabled a single, integrated and harmonious business to be created. A2A was the first Italian industrial company listed on the stock exchange to adopt a dual management and control governance model and tackle the challenge of putting it in place. The Supervisory Board and the Management Board jointly traced out their respective areas of responsibility, generating exemplary operational rules, thus enabling highly specialised companies to be fully integrated on the basis of a clear business plan and common values. As the consequence of the acceleration that was achieved, only a few months later the Group changed its motto to “energy closer to you” as a means of emphasising its closeness to the local area and customer service and of communicating the foundations of its tradition and its future aspirations more effectively. 18 December 2006, the Boards of Directors of the companies, AEM and ASM approve the industrial plan for the merger project. 4 June 2007, the BoDs of ASM, AEM and AMSA approve the framework agreement relating to the structure and major terms of the transaction. On the same day, and agreement was signed between the Municipality of Brescia and the Municipality of Milan relating to the guidelines for the merger for both boards. 25 June 2007, the ASM, AEM and AMSA BoDs approve the Merger Project. 27 June 2007, the operation is approved by the Brescia City Council. 23 July 2007, the operation is approved by the Milan City Council. 22 October 2007, the merger project was given final approval by the Extraordinary Shareholders’ Meeting of ASM and AEM; the ASM Ordinary Shareholders’ Meeting approved a dividend distribution of an extraordinary divided of Euro 0.11 per share to its own shareholders. 19 December 2007, the Antitrust Authority approved the transaction. 24 December 2007, the AMSA split agreement and the merger of AMSA with AEM and ASM with AEM agreements were signed. 1910 The municipal electrical company (AEM) was founded to participate in and promote development in Milan. from 1920 to 1950 The company expanded and consolidated its existing plants in Valtellina and it also built new hydro-electric power plants there. 1980 Extended its range of services by introducing gas and heating to become the Azienda Energetica Municipale. 1996 AEM becomes a joint stock company. 1998 Floated on the Milan Stock Exchange and 49% of the company share capital is floated on the market. 1999 Following the adoption of the energy markets ordinance, the company is restructured as an industrial group with operative companies in each sector of activity to become a multi-service company. 2000 Participates in the development of telecommunications laying down an extensive and avant-garde fibre optics network in the city of Milan. 2007 The merger project with ASM Brescia and AMSA Milano is launched. From a municipal utilities company to a joint stock company listed on the Italian Stock Exchange. General Electrical Company, Edison system ("Società generale italiana di elettricità, sistema Edison") to supply electricity to the city of Milan. The question of overcoming this “monopoly situation” was a controversial issue at that time - between “conservatives” in favour private initiatives, and “innovators” wanting to vest control within the municipality. This problem was the source of animated debate in national politics and one which was crucial to the power at Palazzo Marino under the leadership “liberal” Mayor, Giuseppe Vigoni. 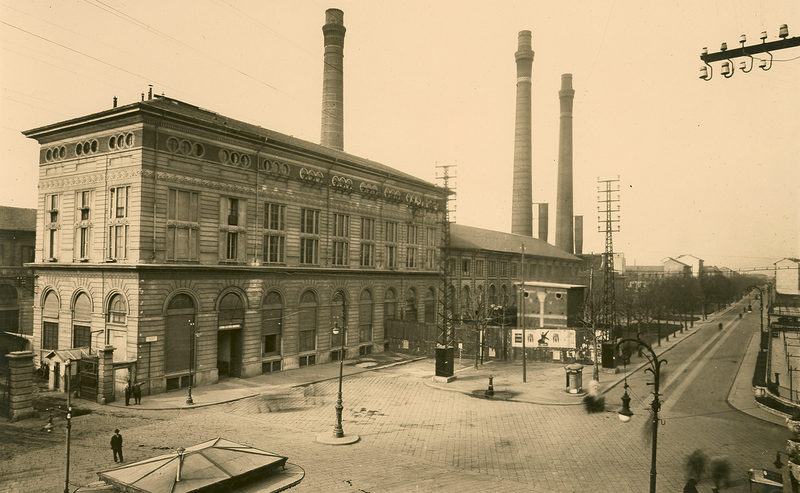 Not long after, under the so-called “1903 municipalisation law”, the municipality of Milan decided to start producing its own electricity directly, building its first historical power plants in the city. The first one was built in Piazza Trento, near the Porta Romana train station, and became operative in 1905. In 1910, after a official referendum, AEM (Azienda Elettrica Municipale) was founded, and grew at an incredible pace over the next decades, as it participated in and promoted the development of the city of Milan. AEM’s centrality to Milan’s development was not just economic and financial, but also political and social. In fact, all the crucial turning points in the company’s history are marked by these elements. Yet, to gain a clearer understanding of the almost “loving” attention lent by the city to AEM’s choices, it is sufficient to browse the articles written by the Corriere della Sera newspaper, filling the company archives, referring to the social value of electricity, as being for “common good of everyone”. “Special care was taken in 1909 in conducting research into favourable tariffs for private consumers. In fact, in 1909, favourable rates were introduced for lighting for council houses; now projects are being studied for favourable tariffs for small business. by implementing this policy, the costs of this modern form of energy are reduced, one of the main objectives of the community programme is being achieved; supplying electricity to the poorer citizens, to rebuild the small business sector and promote the development of the cottage industry (from Corriere della Sera 5.1.1910). In the period between the two World Wars, AEM grew and consolidated its position. During the twenty-year rule of fascism, the Company was attentive to energy production objectives, and not only did it optimise the existing power plants in the city and Valtellina area, but it also built new ones. Amongst its most outstanding achievements in that period, were, the illumination of Milan’s principal architectural monuments, such as the Castle, and construction of splendid illuminated fountains, such as the Cascata alla triennale and the large fountain in front of the Castle. The serious damage caused during the last war was overcome during the fifties, thanks to the injection of major investment, dedicated above all to the construction of hydro-electric plants in Alta Valtellina, which effectively doubled production capacity in 1963 compared with the pre-war period. This meant that AEM was able to supply the energy required for the “economic boom” of the sixties, during which period the consumption of electricity increased by 7.5% annually. In 1959, AEM, in collaboration with Asm in Brescia, began construction of the thermo-electric plant in Cassano d’Adda, which was subsequently extended in 1984. This was the final instalment of the large-scale investments that had begun in the 1970s with the Braulio plant, marking the conclusion of the building phase of a solid and self-sufficient electricity Company. This is how AEM become the biggest municipal utilities company in Italy. These characteristics paved the way for the second stage, of its transformation into an energy company with AEM’s acquisition of the Montedison gas network on 14th July 1981, which lasted for more than fifteen years, and marked the beginning of the phase as a Public Service Utilities Company, priding itself on quality and putting its customers first. By now AEM had developed into a complex industrial company, and was ready to improve the value of all of its activities. Under Act No. 142/90 the municipal company became a joint stock company known as AEM S.p.A. in 1996, as part of the privatisation process under way in Italy at that time. In 1998, AEM S.p.A. was listed on the Italian Stock Exchange, placing 49% of its share capital on the market. The development choices of AEM reached an important crossroads in 1999, which resulted in the company’s restructuring based on the so-called Bersani Decree which liberalised of the electricity sector. AEM became a Group, divided into companies according to sector of activity in line with international developments in the sector. To adapt to changes in lifestyle and consumer patterns, in 2000 AEM further added to its own activities by entering into the telecommunications sector. Thanks to continuous investment, today Milan has a fibre optics network at its disposal with an integrated system offering Voice, Video, and Internet access. In order to take advantage of all the opportunities offered by the continuous process of liberalisation of the energy sector, AEM strengthened its strategic alliances with its industrial and financial partners, founding new companies, such as Electrone, Italpower and Plurigas in 2001. In 2002, thanks to the acquisition of Enel (Milan), AEM became the sole supplier of electricity for Milan; moreover, it took a share of the Edipower Consortium and become the owner of the former GENCO Eurogen. In 2004, the Municipality of Milan decided to sell off a second quota of its share capital in AEM SPA (17.6%), which means that it now holds less than 51%. In 2005, in partnership with the French energy colossal EDF, AEM acquired joint control of the company Edison Spa; it also acquired more than 30% of the company Ecodeco. Azienda dei Servizi Municipalizzati (ASM) (Municipal Services Company) came into being on 23rd July 1908 following a resolution by the Brescia Municipality, to confer tram service and the production of ice. The Municipal resolution was the consequence of a public referendum, recognising the appropriateness of a transfer of the so-called “public utility” services under a public company. As from the 1960’s ASM expands its activities and the range of services on offer, both in the city and in the provinces. More particularly in Brescia it assumes the handling of: street cleaning services (1968); traffic light installations (1976); thermal plant in public buildings (1989); car parks and parking meters (1990); purification and sewerage (1995). In the provinces it assumes the handling of natural gas pipelines and aqueducts. The growth also continues by the creation of companies dedicated to and in partnership with territorial administrations. From this formulation the main group companies have their origin. In the generation and transportation of electrical energy, participating in the construction of thermoelectric plants and realising, concomitantly, a circuit of long distance lines connecting the power stations and the common co-partnership companies (in 1961 the power station at Cassano d'Adda in the Milan province starts up, of which ASM has a 25% ownership with AEM having 75%; in 1966 Ponti sul Mincio (MN) starts up, of which ASM has a 45% ownership together with AGSM Verona with 45%, AIM Vicenza and ASM Rovereto, now Trentino Servizi, 5% each). As regards district heating the first heating service in Italy comes into being and in 1972 the supply of heat/hot water is guaranteed by large methane boilers at the South Lamamora station. In 1978 and 1981 the new Groups 1 and 2 of the Central South start up which apart from providing the necessary heat for the district heating network, produce at the same time electrical energy (cogeneration plants); in 1988 the Lamamora station is integrated with a polycombustible boiler capable of using coal as well. From waste to energy with the start up of the refuse incinerator that uses refuse as fuel, recouping energy to produce electricity and heat. In 2004 the third biomass fuelled refuse incinerator line is started. in recent years ASM takes up the challenge of the process of liberalisation taking place in the energy market and local public services and in 1998 it changes from a municipally owned company to a stock company. For the importing and acquisition of natural gas in international and domestic markets, together with other partners in 2001 it sets up Plurigas, concluding a contract for the annual acquisition of 3 billion cubic meters of natural gas for a period of 10 years. In 2001, together with Endesa and Banco Santander Central Hispano, Elettrogen is acquired, the leading company for the production of electrical energy sold by Enel Group, now under the name of Endesa Italia and is the third domestic producer of electrical energy with 6590 MW of installed power. The interest of ASM for production of electricity is confirmed by the actions of modernisation and expansion carried out as regards the thermo electrical power stations at Ponte sul Mincio and Cassano d'Adda. In July 2002 ASM is quoted in the Stock Exchange in the Blue Chips sector and in September 2004 ASM is included in the MIDEX index, representing the majority of medium capitalised companies. 2003 is characterised as the external growth year. ASM acquires gas distribution networks for about 75,000 consumers and electrical energy distribution networks for approx. 100,000 consumers. In 2004 ASM confronts the international debenture markets by the taking out of a ten year debenture of €500 million at fixed rate. The issue is received with interest by the market: 50% of the debentures are collected overseas. In confirmation of the financial soundness of the company, the Rating agency Standard & Poor's confers on ASM an A+ rating, the highest among those awarded to Italian utilities. In 2005 the merger takes place with Bergamo Ambiente e Servizi, operating in the Bergamo region, carrying out operations of integrated water cycle, the distribution and sale of gas, public lighting, urban hygiene and the production of electrical energy by means of thermal utilisation of waste. In this way one of the first steps is taken in Italy in the process of consolidation in the utilities sector. The major impetus to renew town planning in the city came about after the coronation of Napoleon as the king of Italy in the Milan Cathedral; the first real waste collection service in the city goes back to 1807 when the Municipality of Milan – having set up the Omato Committee – set out the “General Plan for Milan regarding construction and appearance of the city”. In 1907, there was a radical reorganization of the city public hygiene service in Milan, when the Municipality decided to transform it into a community service so that it could manage the service better, taking on a large number of workers (approximately six hundred). Later, in 1910, the Municipality of Milan identified an area close to what is now the Cascina Gobba where it authorised Milan’s refuse to be deposited. At that time, the families of approximately 500 ecological operators lived in that area, known as the “dustman’s village” which is where solid urban waste was taken for manual selection and recovery. This happened until 1929 when the local authorities decided to extend the service even further, and also the dustmen carrying out the service effectively became employees in an ad hoc but specialised company called SPAI (Servizi Pubblici Anonima Italiana). Its name changed to Gestione Servizio Immondizia, and later, in 1954 SID (Servizio Immondizie Domestiche), which was entrusted with the responsibility of refuse collection: carts pulled by horses where replaced by special trucks with trailers and the system of depositing waste in the court yards of large apartment blocks was replaced by the introduction of more hygiene waste collection bins made of metal, which could also be washed and transported on trucks specially designed for that purpose. At the end of the sixties, the incineration plant in Via Zama became operative, and a few years later, in 1970, A.M.N.U. (Azienda Municipale Nettezza Urbana) was established, which managed almost 500 thousand tons of refuse annually. In the meantime, the services were extended to include the removal of manifestly abusive dumping to traditional activities, as well as the cleaning of cemeteries and door-to-door collection of cumbersome waste. In 1975, the incinerator plant in via Silla became operative, replacing the previous incinerator. In 1985, A.M.N.U. changed its name to A.M.S.A. (Azienda Municipalizzata Servizi Ambientali) and the range of services offered continued to grow, making a strong and extensive commitment to the separate collection of glass, paper, expired medicine, flat batteries, and finally, plastic. In the nineties, there was a considerable evolution in the habits of citizens, which led to a considerable increase in the waste produced pro capita; this situation sparked off a fundamental change within the Company, when it decided that it was time to develop a new environmental policy, based on disseminating a culture of recycling waste. On 21 March 2001, the public utilities company became a joint stock company changing its company status and name to Amsa (Azienda Milanese Servizi Ambientali). Thanks to the collaboration of its citizens, by 2002 separate waste collection amounted to 32% of total waste collected by Amsa. The company moved even closer to the needs of its clients by offering personalised services and demand for locals authorities to manage public utilities services in the surrounding suburbs continued to increase. In 2001, this led to Amsa extending its own field of action by creating two new companies: Amsadue and Amsatre. In 2003, the Silla 2 waste-to-energy plant was completed and inaugurated on 21 October of the same year, and not long after it was awarded a prize by the Triennale di Milano trade fair, receiving a “Gold Medal to Italian Architecture for private enterprise”. By 2004, authorisations were obtained for the plant to become fully operational; in fact, the Silla 1 incinerator was definitively closed; in the same year, the Maserati Light plant for the screening of solid urban waste became operative. In 2005, upon authorisation of the Municipality of Milan and to comply with the wishes of the citizens of Muggiano, where the composting plant was based, Amsa decided to entrust organic waste collection in Milan for disposal to a third party supplier, resulting in the shutting down of the plant that had been operative for about eight years – and had previously distinguished itself at national level, winning awards such as the “Compost di qualità” Prize, given by CIC (Consorzio Italiano di Compostatori). From 2006, the company successfully made an important change in the way it carried out the city hygiene service thanks to the introduction of a new and comprehensive street cleaning service so that washing and sweeping of road surfaces and pavements could take place contemporaneously during the same work shift, which is even able to remove waste from underneath parked cars. Again in 2006, a new methane gas distribution plant was inaugurated for Amsa vehicles, which is located in the Zama department, as further evidence of the extent of the Company’s commitment to gradually replacing less ecological vehicles with natural gas powered ones. Yet another important step forward was taken in relation to environmental sustainability, thanks to the recent investment of twelve million euros in the creation of the new “Denox” filter for the Silla 2 Waste-to-energy plant - inaugurated on 6 May 2008, which reduces nitrogen oxide and acid emissions by more than 60%. Ecodeco® was born in Lombardy in the second half of the 1970’s, as an economic consequence of early environmental legislation. Its goal was to assist firms in modifying their productive processes in order to obtain fewer by-products, or by-products that could then be used by other firms. Since the early 1980’s, Ecodeco® has implemented an efficient modular system of activities aiming to valorise industrial waste, coordinated by Modulo Zero, which manages the cadastral registry of industrial waste and their movements. This system has made it possible to recover or correctly dispose of almost 20 million tons of industrial waste in the last 20 years. Ever since the 1990’s, as a consequences of the possibilities offered by Lombardy regional law 21/93, which allows firms to make innovative proposals in the municipal solid waste sector, Ecodeco® has developed the Biocubi® Process, which allows for the elimination of the degradable component of the residual fraction of municipal solid waste after separate recovery, and use its energy to produce Amabilis®, a dry, stable, easily transportable waste with a higher energy content. The availability of Amabilis® is the source for a cluster of interesting innovations that allow for the efficient use of energy and materials found in the residual fraction, and it has led to the creation of an efficient system for the energy valorisation of municipal solid waste. The Sistema Ecodeco® for increasing the value of the Residual Fraction of Municipal Waste, after source separation, eliminated old systems and developed an approach so different as to require a new language. This is now in common usage. The high level of consumer goods thrown away after use as waste, constitute the content of Secondary Energy Reservoirs. The size of these is related to the popula-tion supplying them. To overcome the inefficiencies arising from the dispersed nature of such reservoirs the Sistema Ecodeco® has developed a system of installations including: the Intelligent Transfer Stations (ITS®), the Activated Bioreactors and the integrated plants. As of the end of 2007, Sistema Ecodeco® represents a combination of proven success, with concepts, procedures, and methods that are so innovative they have given rise to a new language, and is a key player in the waste management field. Therefore, the period of growth based exclusively on innovative development has now ended, and given way to a new period focusing in part on expansion. This new era starts with the incorporation into A2A of AEM, ASM Brescia, AMSA and ECODECO®, which has created the largest Italian group operating in the waste val-orisation sector. The Group combines its activities providing services to millions of people with a unique structure focused on planning, developing and implementing innovative systems and technologies both for the Group and for other operators in Italy and abroad.